Lesley Pearse was great last night. I didn’t buy a book as she only had her most recent one for sale, which is the follow up to a previous book…..but…..I will be buying at least one of her earlier books at a later date. Wow, has that woman had a life or what!!!!! She told us her complete life story through the hour she talked, and I think I’ve come to a conclusion…. I will never be a great author because I haven’t had enough life experiences lol. Lesley is on her 3rd (or is it 4th?) marriage, her mother died when she was 3, she was sent to an orphanage, she had a wicked step mother, had to have her 2nd husband committed, was a single mum, took 7 years to publish her first book…..shall I go on? 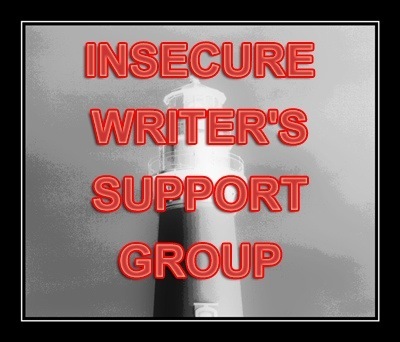 Is that what you need to be a great author? I will always remember Emma Darwin’s words at Swanwick. She said that most writers are told “write what you know” (I’m sure we’ve all heard that one! ), but Emma says “write what you don’t know but make the reader believe you know it”. 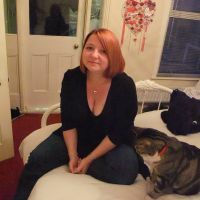 When it came to the time to discuss my first 3000 words of my Nano 2010 novel with Emma, the part she loved was actually based on personal experience, the only part that was personal experience in the whole 3000 section lol. 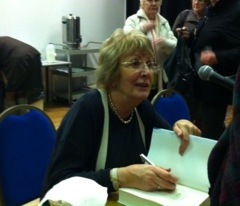 Lesley Pearse signing my friends book. This entry was tagged Lesley Pearse, Nanowrimo. Bookmark the permalink.